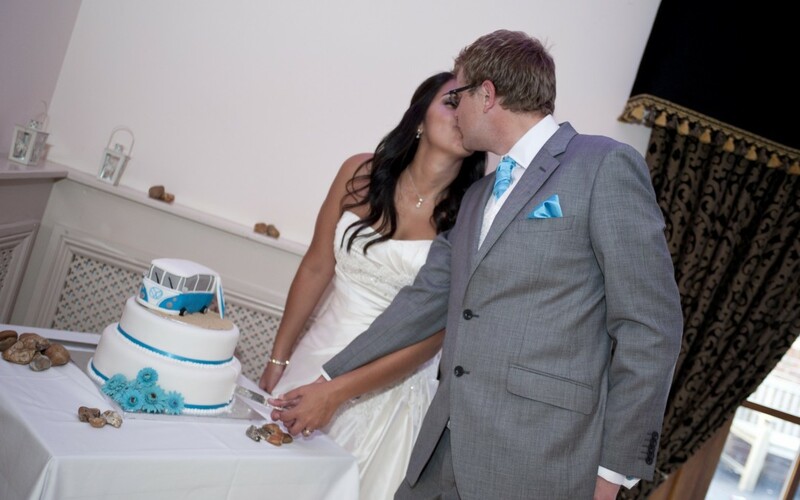 I’m often asked how it all began; how did I start creating wedding and celebration cakes? Well it all started with my own wedding three years ago when I decided to make our VW Campervan wedding cake. We decided that we wanted to have a D.I.Y wedding and do a lot of the decor ourselves; so I thought why not make the wedding cake as well! Now, I’d never made many cakes before our wedding (except a couple for our boys birthdays – not much to write home about!) so I enrolled on a basic cake decorating course to learn how to cover a cake in fondant icing, and dragged my sister along too. With a lot of practice (and I mean a lot!) we were both able to cover a cake with fondant, and we delighted with our efforts. Although, looking back now those cakes we practiced on looked awful, not smooth at all! After that first course I was hooked! It opened my eyes to the complexity of cake decorating as well as the enjoyment of the process; not only that but also how much choice there is out there when deciding on a wedding cake. 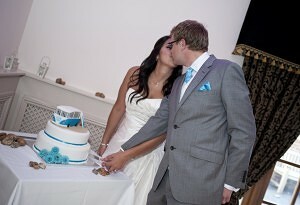 To say I was confused on what wedding cake I ultimately wanted to create is an understatement! In the end I decided I wanted my cake to have blue gerbera flowers on it to match the colour of our wedding and the flowers in my bouquet; but you can not get natural, fresh blue gerberas. So, as I was feeling fairly confident I decided to make sugar gerberas (enrolled on another course) to go on our wedding cake; little did I know gerberas are not the easiest to make look realistic! As I mentioned before I was overloaded with ideas for the design of our wedding cake, so as well a blue sugar gerberas our cake also had the top tier hand carved and decorated to look like a VW Campervan – because we both love them! This part of the cake was a definite D.I.Y job, with some help from YouTube and I loved every minute of making it! The VW Campervan tier of our cake was the idea of my husband’s who had the faith that I could pull it off; without him my little business would never had come to be! He encouraged me to turn my cake decorating hobby into a business when friends and family were requesting celebration and wedding cakes. My cake decorating skills have definitely come a long way since the early days of practicing before our wedding day. Since the success of our wedding cake I’ve been privileged enough to be commissioned many excited couples to create their dream wedding cakes.